Andrew Hughes thinks Minnesota United are a good bet to beat Vancouver Whitecaps on Sunday in another weekend treble. MLS offers plenty of football action for those impatient for the Premier League to start and you can get all the latest previews at the Betting.Betfair MLS page. 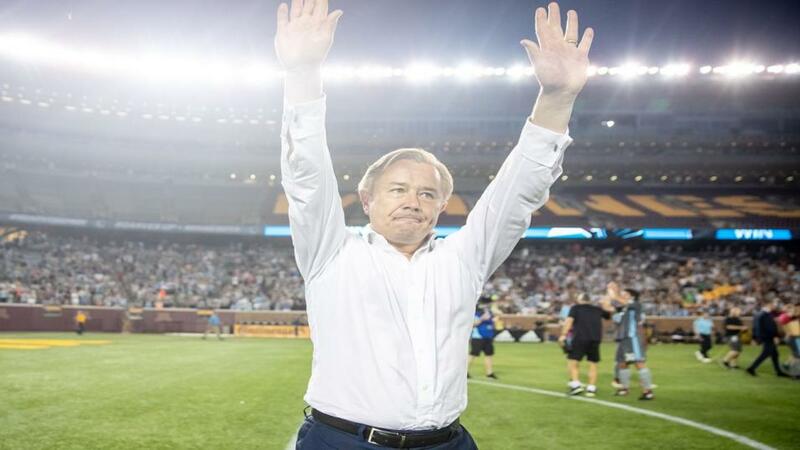 Adrian Heath's Minnesota United had a slow start to the season but they are making up ground at the right time and head across the Canadian border having won their last three games, including an impressive 5-1 thrashing of LAFC last time. Heath's combination of a three-man back line and a direct style of play has brought Minnesota both defensive solidity and an offensive threat, and while they are not in the same class as some of the top teams in the Western Conference, they can get the better of a ponderous looking Vancouver side whose only win in their last five MLS games came against the woeful Chicago Fire. There's plenty of rugby league action to get your teeth into this weekend and you keep up to date with the latest tips on the rugby league Betting.Betfair page. The Titans blew a 24-10 lead against the Knights last time and with it, said goodbye to any chance of reaching the NRL play-offs, but the Warriors are still pushing for a top four place and that extra motivation should give them the edge on Sunday. They lost their last game, at home, but they still put in a creditable effort against the Storm, and so far this season they have tended to play better on the road. Blake Green's return is a boost and they look a solid bet for victory this weekend. For several years, South Africa had an outstanding record in Asia, remaining undefeated in eight Test series on Asian soil up to October 2015, but since then they have struggled, as their recent 2-0 defeat to Sri Lanka illustrated. But the difficulty of coping with skilled spinners on dry pitches isn't quite so acute in the limited overs formats and South Africa will hope for better results in the one day international series that starts on Sunday, despite the return of captain Angelo Mathews to the Sri Lankan squad. The home side have plummeted in the ICC rankings and are now as low as eighth - below Bangladesh - while South Africa are the main challengers to the two dominant sides in this format - England and India. South Africa have also won their last eight matches against these opponents, including a 2-1 series win on their last visit. Back the tourists to open the series with a win. Total Odds for this multiple:[12.25] Remember, multiple prices are based on our Sportsbook product, so any winnings are exempt from commission. Win up to 50% more on your first Acca of the week!